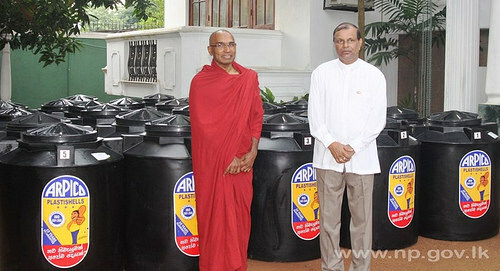 A set of water tanks were handed over to the Governor of the Northern Province GA Chandrasiri by Triple Gem Buddhist Foundation on 06th September 2014 at Governor’s Sub Office in Colombo. 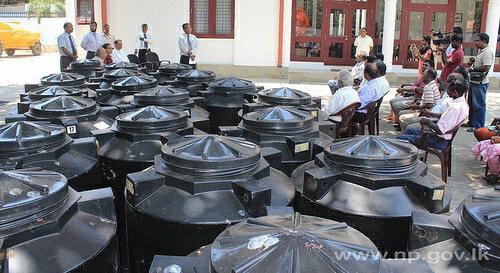 These tanks are to be delivered to the drought affected areas in the Northern Province. These tanks will be useful to store water for long term purposes. 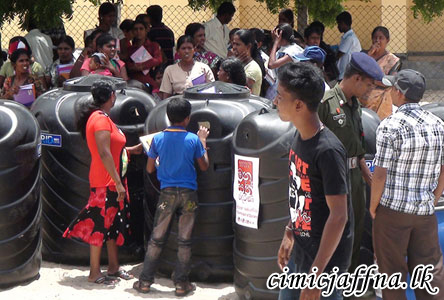 Security Force Jaffna further extended its assistance to Jaffna people affected due to long-drawn drought distributing plastic water tanks to various parts of the peninsula. Headquarters 55 Division based at Kaddaikadu made arrangements to hand over 72 such water tanks donated by “Derana” media organization at request of Commander Security Force Jaffna Major General Udaya Perera at a brief function held on Tuesday (26) at Thalaiady Roman Catholic Tamil Mixed (RCTM) school. 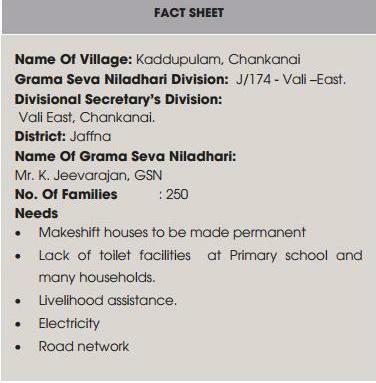 Fifty two 1000 litre tanks, ten 500 litre tanks and ten 250 litre tanks were handed over to representatives from different villages suffering from scarcity of water. General Officer Commanding 52 Division Major General Priyantha Jayasundara, Chief Executive Officer “Derana” Mr. Madawa Madawala, General Officer Commanding 55 Division Brigadier S.K. Thirunaukarisu and Commander 553 Brigade Colonel Vijith Subhasinghe were present at the function.